Practice the questions given in the worksheet on multiplication table of 4. The questions are based on finding the product using the multiplication table of 4. 1. Count forward by 4’s from 4 to 100. 2. Count backwards by 4’s from 100 to 4. 4. Find each product using above multiplication table of 4. 5. A turtle has 4 legs. How many legs do 12 turtles have? 6. How many legs have 8 cows? 7. How many wheels, in 9 cars? 8. A square has 4 corners. How many corners do 7 squares have? 9. (i) What are 5 fours? 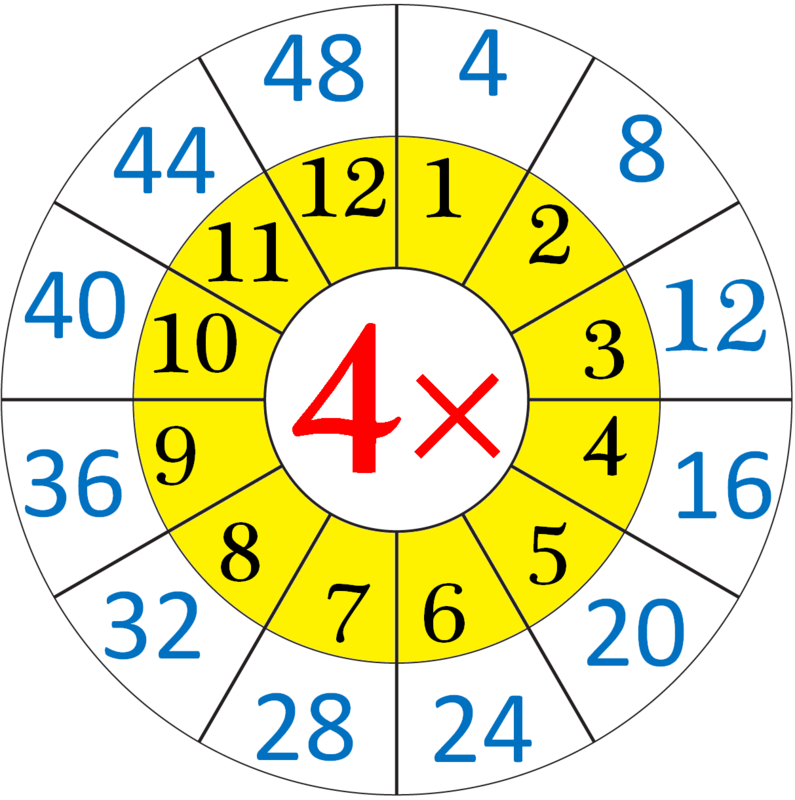 (v) What are 4 times 4? (ix) What is 9 multiplied by 4? (x) 4 multiplied by 12? 10. What does 4 × 8 mean? What number is it equal to? 11. A cost of a set of crayon is $10. Find the cost of 4 sets of crayons? 12. There are 6 books in a row, how many books are there in 4 rows? 13. (i) How many fours in 44? (ii) How many fours in 28? (iii) How many fours in 16? Answers for the worksheet on multiplication table of 4 are given below to check the answers of the above multiplications. 1. 4, 8, 12, 16, 20, 24, 28, 32, 36, 40, 44, 48, 52, 56, 60, 64, 68, 72, 76, 80, 84, 88, 92, 96, 100. 2. 100, 96, 92, 88, 84, 80, 76, 72, 68, 64, 60, 56, 52, 48, 44, 40, 36, 32, 28, 24, 20, 16, 12, 8, 4. 10. 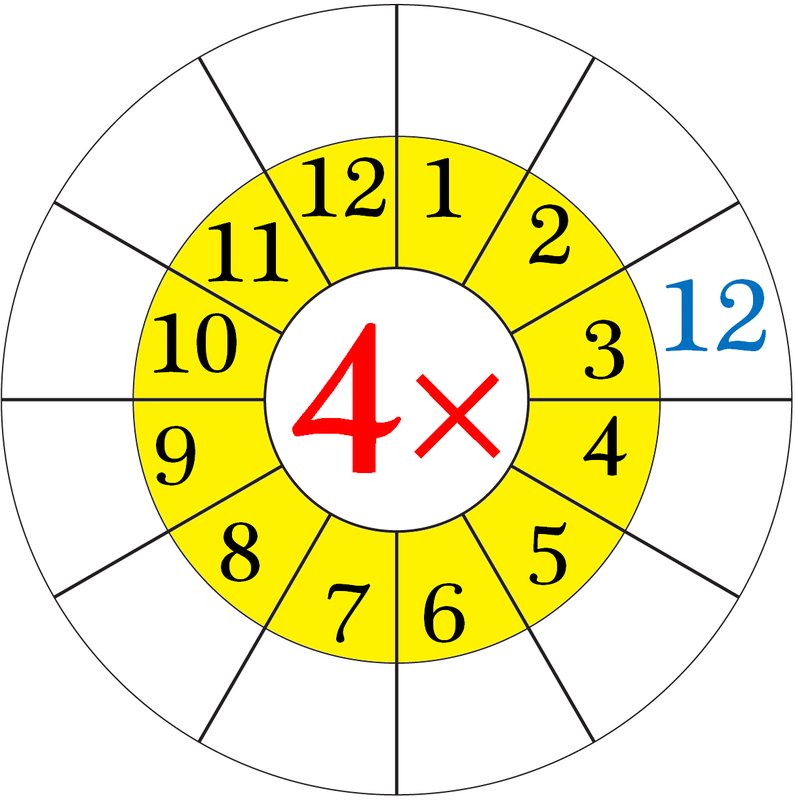 4 × 8 means that the 4 and the 8 are multiplied together or ‘four eights’ or ‘four times eight’.